Below you’ll find: (a) classes I’m currently offering and (b) classes I’ve taught and will offer again or can present at your event or conference. 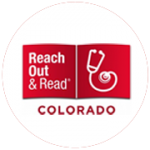 I offer in-person classes in Denver, CO through Lighthouse Writers Workshop, the University of Denver Enrichment Program and other locations. The best way to find out about upcoming classes is to subscribe to my Blab-o-Tips newsletter. And you’ll get a free gift to boot! If you’re interested in learning more about my online classes, you can check out Courses in Your PJs! If you want to you want to stay up to date on classes, subscribe to my Blab-o-Tips newsletter or follow me on Twitter or Facebook! I have no upcoming in-person classes currently scheduled. Need a breakout session or workshop? Here is a sampling of classes I’ve taught and/or presented at conferences or workshops,from picture books to early readers and chapter books to middle grade and YA novels. I can adapt most of them to your event needs and session constraints. Just ask! Click the button to fill out the request form. This workshop is for anyone interested in learning what a picture book is as well as some of its unique aspects. We’ll review structure, language usage, and character development, as well as de-construct best-selling and popular picture books to understand what makes them work. Then you’ll apply what you’ve learned to books and manuscripts provided by the instructor. Bring a favorite picture book (or one you can’t believe got published) to share! Note that this is a workshop on learning about picture books, not writing them, though you will hopefully use what you learn if/when you approach your own stories. If you have a picture book story idea, but just don’t know how to begin, this all-day workshop is for you! You’ll start with an overview of what a picture book is and some of its unique aspects. Then you’ll dive into studying existing picture books and hands-on exercises, where you’ll learn brainstorming techniques, explore ways to get into your character (if you have one) and develop a plot or structure for your story that can become a map for your writing. You’ll also have an opportunity to talk through your ideas with other writers for support and new approaches. The goal is to leave with the start of a story and a clear plan to finish that first draft. This workshop will focus on specific craft areas of your narrative picture book manuscript each week: character, plot, illustration notes, and language use. During each session, we’ll cover one craft area, using existing picture books and examples from your stories for discussion. If time permits, you may begin revising or brainstorming for that particular craft topic. Prerequisite: Intro to the Children’s Picture Book. I also encourage writers to take one of the 8-week workshops, but it’s not required. Completed picture book story, properly formatted required for first session. In this hands-on workshop, you’ll explore various aspects of writing the picture book through discussion and critiquing. To get the most out of this class, you should have a story started or completed before the first class session. Prerequisite: Intro to the Children’s Picture Book. In this hands-on workshop, you’ll explore various aspects of writing the picture book. In this class, you don’t have to have a story started or even an idea! We spend the first two weeks developing ideas and beginning to write, with the following six weeks learning craft aspects through critiquing and discussion. Prerequisite: Intro to the Children’s Picture Book. Books like Goodnight Moon and The Wonderful Things You Will Be are not traditional narratives that follow a character as s/he overcomes a problem. If you’ve written or have an idea for a picture book like these that is more experiential or episodic in nature, how do you create forward momentum and maintain reader/listener interest? Using existing books, we’ll look at different ways to structure your non-narrative story so that it flows toward a satisfying, fun and/or surprising conclusion. A work-in-progress is not required, but if you have one that seems to fit, bring it! Successful picture book series’ like Skippyjon Jones, Fancy Nancy, and Olivia all have one thing in common: Memorable, engaging characters. What makes them memorable and engaging? And what exactly is a “character-driven picture book?” In this session, you’ll look at popular, character-driven picture books to determine what makes them special and begin to craft your own characters. If you’ve got an existing character that needs a boost, bring him/her. Let’s create unforgettable characters together! Sometimes we focus so much on the opening or “hook” for a story that we forget about that crucial ending. In this session, we’ll explore a variety of picture book endings and discuss what makes them work (or not!). Then we’ll brainstorm our own endings, working to write one that has a child shouting: “Read it again!” and a publisher saying “Yes!” Participants should have a completed manuscript or a story idea where they know the ending to get the most out of this session. As writers of picture books, we understand the collaborative aspect: part of our story will be told through pictures. But what do we leave in and what do we leave to the illustrator and how do we know when to do that? And what about those darn illustration notes? 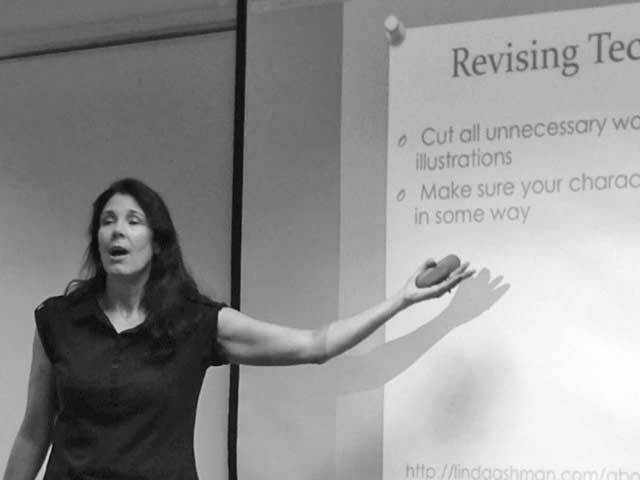 Using examples and exercises, we’ll explore the not-so-exact science of writing/revising with the illustrator in mind and when and how to include illustrator notes. Rhyming picture books continue to captivate readers and writers alike. But what makes a good rhyming picture book? How does the rhyme serve the story and not the other way around? How do writers change up their rhyme scheme, use bridge stanzas and non-rhyming refrains to build tension, create humor and/or surprise us? In this seminar we’ll deconstruct rhyming picture books to explore these concepts, as well as scan rhyme–both published books and your own work if you have a work-in-progress. Through examples, exercises, and hands-on activities, you’ll explore what book dummies and storyboards are and how they can improve the pacing and page turnability of your story. Learn how to choose existing picture books as instructional texts and use them to make your own stories better. We’ll look at character, structure, word choices, and beginnings and endings. I will have books on hand, but if you have one that speaks to your story, please bring it! Also, please bring your partial or complete picture book manuscript with which to work. 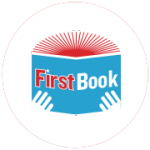 This course covers the ins and outs of children’s books that are between the children’s picture book and the middle grade or young adult novel. The morning will consist of familiarizing writers with these types of children’s books through exploration of published books and exercises; the afternoon will involve writing exercises designed to either help you revise an existing manuscript or begin a new one with an opportunity for a few writers to share and receive light feedback, though this is not the main focus of the course. If you find yourself getting bogged down in your novel, you can usually get back on course by taking a deeper look at individual scenes, reworking them on their own as well as seeing how they fit into the whole. Using techniques I’ve developed as well as techniques and suggestions from agent Donald Maass’s books The Fire in Fiction and Writing the 21st Century Novel, you’ll work on one scene from your book, approaching it from the perspective of character, tension, and purpose. A good chunk of the day will consist of workshopping and brainstorming in small groups, so please bring FOUR stapled copies of a scene that is giving you trouble or that you sense isn’t as good as it could be. You will work on the scene in class and then share/workshop/brainstorm the subsequent revised versions in your small group. Then take away the tools you learn here and apply them to other scenes in your novel! Feel free to bring paper or your laptop, whichever is more comfortable for you. Experiencing visceral emotion and tension helps readers care about your characters and keeps them reading late into the night. Using published books and our own works in progress, we’ll discuss what works, what doesn’t, why these elements of story are essential to reader engagement, and how to elevate the emotion and tension in your own writing, while avoiding clichés. In this seminar, we’ll use examples and exercises to explore how what is said and not said can create conflict and tension between and among characters as well as reveal character. We’ll also go over some basic dialogue tips. Bring a section of dialogue from your work-in-progress that you feel needs a boost. I was always a “panters”—a seat-of-the-pants writer who was excited by an idea and jump in writing immediately, only to get to chapter 4 or 5 and completely stall. I resisted plotting or planning in advance for years, convinced it would “cramp my creative style.” But I’ve discovered the joys (and time savings) of plotting, having successfully plotted a new novel in October, wrote the entire thing in November during NaNoWriMo and then revising and getting it to my group that spring. I was sold! And now I want to share what I did with other novelists to help you speed up your writing process and make the most of your time. Lighthouse Writers Workshop In this hands-on workshop, we’ll work to support your strengths while encouraging you to stretch yourself and try new approaches. We’ll explore all of the usual suspects in writing a novel, but from the unique perspective of MG and YA. The bulk of this workshop will be submitting pages and giving and receiving feedback. For more information or to register, click here. This course is an overview designed for those new to the world of writing for children, or those who have written something and aren’t quite sure what to do with the finished work. Join award-winning children’s author Denise Vega as she leads you through the many forms of children’s books today, including writing exercises to hone your ideas from picture books through young adult novels. Conclude at the Denver Center for the Performing Arts with attendance at the DCPA Theatre Company’s Lookingglass Alice, a “wildly inventive production” for audiences of all ages. Come away with insights into the complex world of children’s books and new skills for writing your own. 10% discount to DCPA subscribers. Every word counts in any story or book, but word usage is especially important in children’s books. In this workshop, we’ll explore the use of language in books for younger readers—from picture books through early chapter books (e.g. the Mercy Watson books by Kate DiCamillo) through examples and exercises. 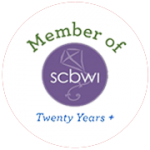 This hands-on session is designed to help you develop/improve a short summary of one or more of your children’s book manuscripts (including narrative picture books). You can use the summary as a guide to writing and revising your story as well as for pitching/querying agents, editors and others. We’ll use existing books (picture book through chapter book), identify essential elements, and brainstorm summaries as well as work on our own. Please bring at least one story idea to use during the session. This hands-on immersion will explore whether your manuscript is ready to submit, how to find publishers and agents, the elements of an effective query, formatting your work, tracking submissions, following up on submissions and more.